Beauty comes with a price tag; beauty products come with even bigger price tags. That’s the biggest dilemma for a diva on a budget these days. Makeup products are getting expensive by the day, but have you seen the price tags on skincare products lately? Probably, you have. Probably, you are already saving up for the next big ‘sale’ season. You don’t have to wait that long! The interesting thing about good skincare products is that they are mostly natural and organic. You know what else is natural and organic? Most of the things in your kitchen! This means your kitchen can double up as your spa, and you can DIY your way to great skin and hair. Yes, we too like to keep it minimal and simple. 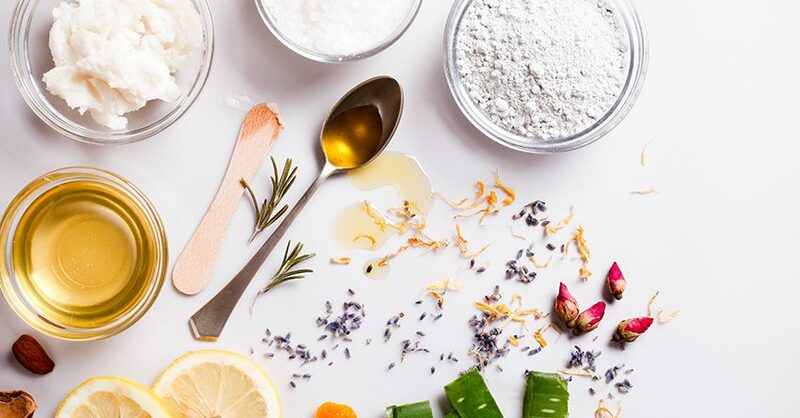 So, if you are up for quick and easy DIY beauty recipes that can save you time and money – and deliver results that can put Sephora to shame – we have you covered. Instructions: Mix 2 tablespoon of yogurt, 1 teaspoon of honey, and 1 tablespoon of oatmeal. Apply it on the face. Let it stay there for five minutes. Gently massage in circular motion. Wash it off with warm water. Why It works: Look at the ingredients. 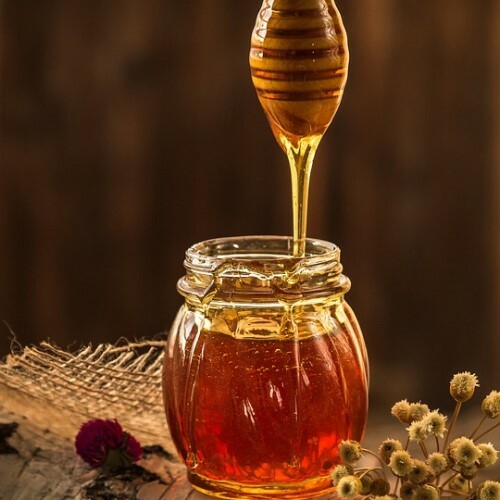 Honey is a natural moisturizer with anti-bacterial properties. Oatmeal is known for its soothing and nourishing properties. Yogurt contains lactic acid that instantly gives you a bright glow. Result: The mask gently exfoliates the dead skin and reveals a glowing fresh complexion. It is great for dry and sensitive skin. If you find most off-the-shelf scrubs too harsh or drying for your sensitive skin, this DIY facemask will become your skincare staple. Instructions: Take equal quantity of both the oils and mix it in a bottle. Shake it well to make sure the oils are properly mixed. Massage into the roots and use a comb to apply throughout the length of the hair. You can keep it on for 10 to 30 minutes. Wash it with warm water and a gentle shampoo. Why It Works: Coconut oil has miraculous properties. It nourishes hair as well as the scalp. There are so many beauty experts who swear by this oil. 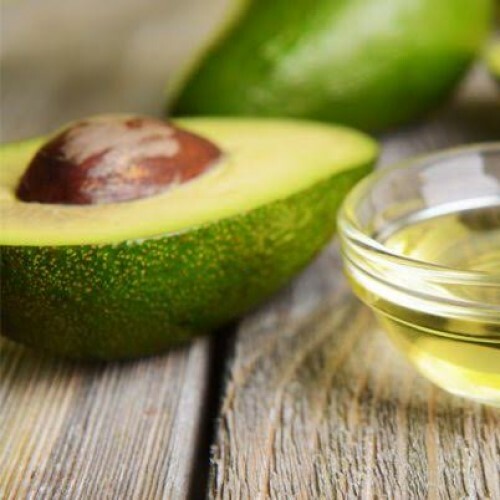 Now add the rejuvenating properties of Avocado oil into it, and you have a magical hair mask. Not to mention, Avocado oil cancels the smell of the coconut oil to a great extent. You won’t be walking around smelling like a tropical dessert. Result: The results are visible in just one wash. Your hair will feel softer and silkier, and visibly healthier. If you have frizzy hair, consider this concoction a godsend. Instructions: Mix a tablespoon of rosemary oil and a tablespoon of lavender oil. Add a pinch of sugar to the mix. The coarser, the better. Apply on foot, elbows, knees, or any other body part that has calloused or excessively dry skin. Massage gently for a few minutes and wash off with warm water. Why It Works: It works because it has two of the best essential oils in the world. Lavender oil is known for its anti-bacterial and anti-fungal properties. It is also very soothing for skin and senses. 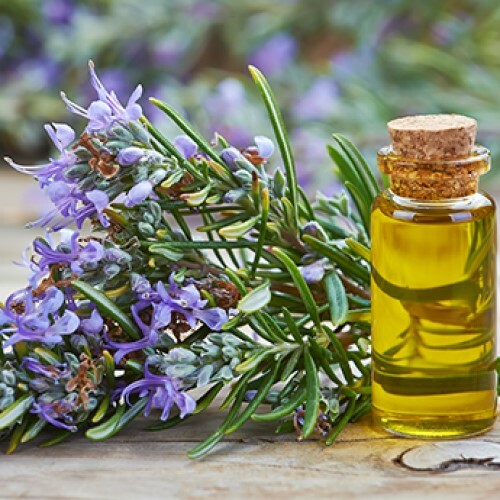 Rosemary oil, on the other hand, is an amazing moisturizer that prevents drying. Result: This scrub is the best thing you can apply on your feet. It is as soothing as any spa pedicure. It works wonders for calloused heels. Use it regularly, and you will see a visible difference. What we love the most is that it leaves your skin soft and shining. It can also double up as skin polish for your body. Instructions: This recipe includes just one ingredient, so there isn’t much to do. Just take two oranges, eat them, and save the peel. Now wrap the peels in a cheesecloth or a gauze. Use this sack as loofah while you are in the shower. Rub it for a few minutes and rinse it off. 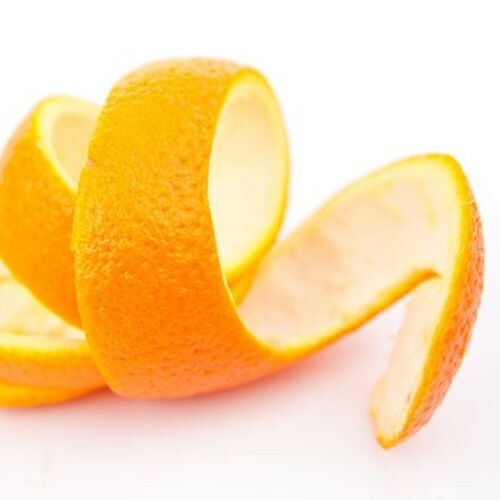 Why It Works: Orange peels are full of essential vitamins our skin needs. It has vitamin C and citric acid that work as a brilliant exfoliator. Not only does it remove the dry layer of dead skin, but it also gives an instant brightening effect. Result: One wash and your skin will feel tighter yet softer than before. It works just as well as any high-end body scrub. It leaves you with a fruity, citrusy scent. Instructions: This beauty recipe includes just one ingredient, but it is the way you use it that makes all the difference. You have to apply the oil right after you take a shower. Apply it while your skin is still damp. It allows the oil to lock in the maximum amount of moisture. You hardly need a drop or two. Why It Works: Did we mention this recipe comes from a famous beauty expert trusted by numerous celebrities like Gwyneth Paltrow? No wonder it works like magic. 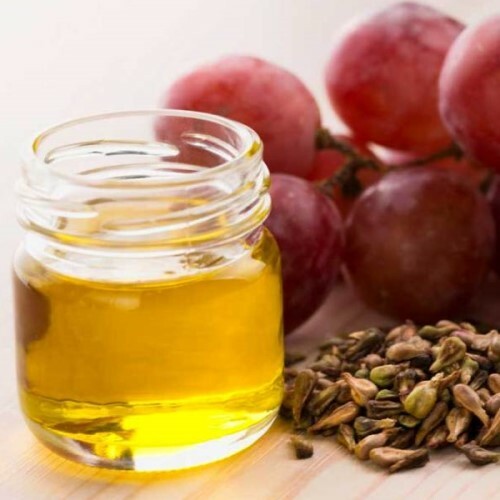 Grapeseed is one of the lightest oils you can find. It absorbs into the skin and nourishes it on a cellular level. It is loaded with anti-oxidants. It is why it has anti-aging benefits as well. Result: The result is so amazing that you wouldn’t find yourself buying another body lotion ever again. This oil moisturizes the skin without making it greasy. It smells great, and over time, you will begin to see its skin tightening and anti-aging effects. It’s a great moisturizer for all seasons. Instructions: Boil a cup of water and put two chamomile tea bags in it. Let them soak for ten minutes. Take them out and allow them to cool down for a while. It is best to keep them in a fridge overnight. This recipe works best if used early morning. However, if you don’t have that much time, it will take around 10 minutes to cool down. Now put the tea bags on your eyes, and relax for 10 minutes. Remove the tea bags and be surprised. 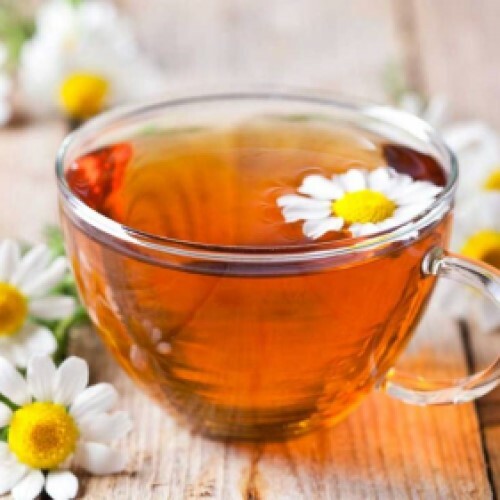 Why It Works: Chamomile tea has soothing anti-fatigue properties. It is a strong anti-oxidant that removes toxins and free radicals. Moreover, it has skin lightening and tightening properties. No wonder it helps you fight puffiness, dark circles, and fine lines at the same time. Result: This DIY beauty recipe is nothing short of a miracle for anyone who isn’t a morning person. It is an instant remedy for puffy eyes. It removes all signs of your late night adventures. You will look less tired and even feel well rested. Use it frequently, and you will see a difference in your dark circles.